It’s my most favorite time of year! I’ve had a planner every year since the second grade. Maybe it came from a Type-A/perfectionist place at first, but now it’s just something I plain enjoy. I love writing, so list-making, scheduling, and mapping out goals just falls into that pocket of sunshine for me. I love planners so much that I tried out THREE. And I’ve found a way to make them all work for me. But you may be wondering – which one is right for me? I get it. Also, planners aren’t $5 like the one I had in second grade was ? You know you want one, but you don’t know…which one is the one I really should spend my money on? Which one will really work for me? Today I’m breaking it down for ya. I’ve got 3 different planners that I feel are suited for 3 different kinds of gals. This is my first year to jump on the Day Designer train. I was certainly intrigued by it’s cult following and Miranda Presley aesthetic, so I was so jazzed that Day Designer set me up with one. When I opened it up, my first thought was “Ok, this is definitely a FANCY planner.” I mean, the box it came in was so beautiful that I now have it as a display piece on my bookshelf. Yeah. 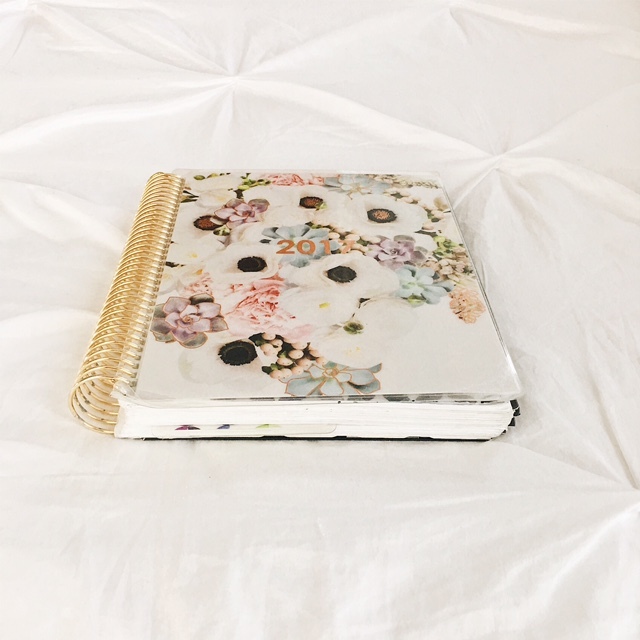 The planner itself was heavy, glossy, and felt like the “Beyonce planner” – making all other planners the JLo’s and Rihanna’s of the world. But in truth, I couldn’t wait to write in it. So I began scribbling. I really was intrigued by the set up, which I’ve shown in the pictures below. I think this is a very “me” planner. It’s been really great for work because I can schedule my meetings and also note when I have appointments/errands after work, so I remind myself when I need to complete tasks, take breaks, etc. it’s BEAUTIFUL! You’ll want to write in it just for that reason. So maybe there’s some kind of correlation to better test performance and increased productivity? Ha! 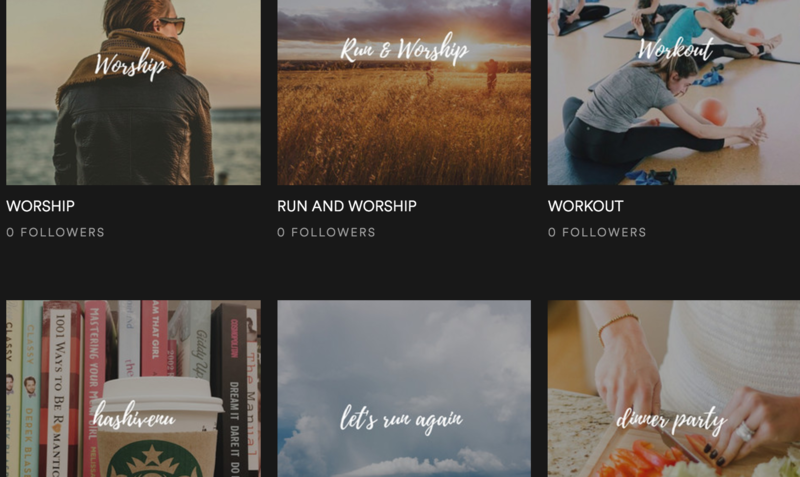 I love how this has a space for you to focus on “today’s top 3” as well as planning out your goals! That’s something I think we should be more focused on, rather than all the little minutiae of every day tasks. no notes sections really. I like taking notes on my syllabi at the beginning of the year and also just making general notes in my planner when at work meetings. no contacts sections. I’m not *super* into snail mail, but I like having this tab for when I do send a care package or letter. heavy/bulky. If you already have a lot in your backpack or tote, this will add weight. So if you’re trekking across campus, maybe it’s not the best. Best for: the dreamer and the do-er. Oh, ya’ll. If you know my heart, than you know I am a Rifle Paper Co girl through and through! I’m obsessed with those prints! I don’t know what it is about them. They just remind me of romantic/fairy princess/garden scenes and I truly think the blood that runs between my veins is a floral pattern of eucalyptus, Queen Anne’s lace, and daises. That’s normal, right? I actually was really surprised at the layout of this planner because I had never seen the daily views look like this. They are basically just little blank lists. I think that’s great for someone that likes a daily to-do list to accomplish their goals, make their commitments, and get all daily tasks done. 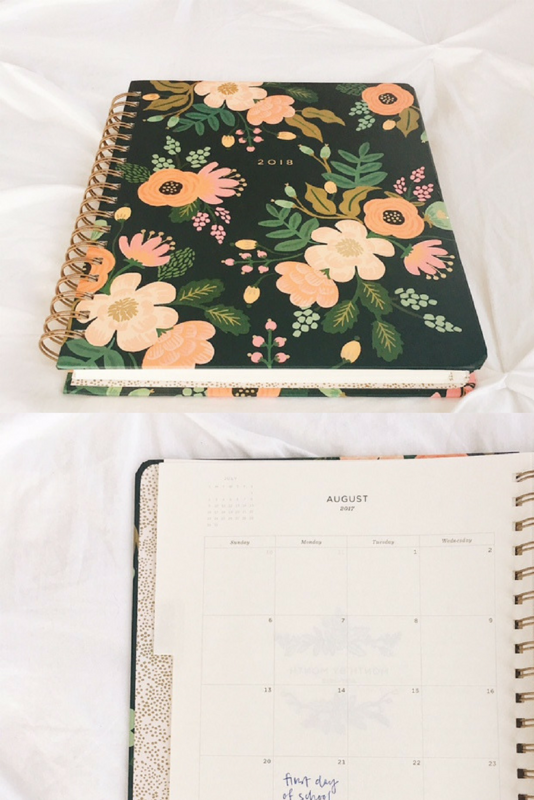 I decided to specifically use this planner for all my blogging stuff! So for each day that I’m posting a blog post, I write out what I need to do to get the post finished, and I can check off as I go. Then I use the monthly calendar view as an editorial calendar of sorts. However, I can really see this working for school as well. 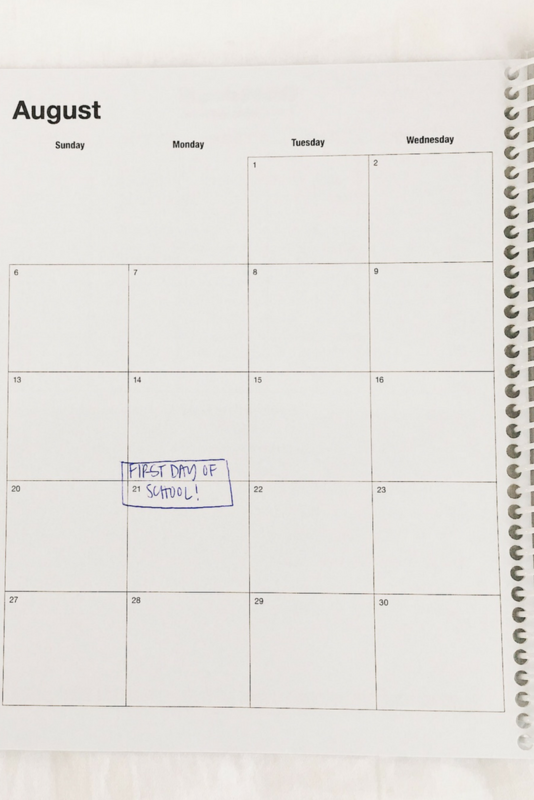 Each line could have the homework and studying you need to get done, and then you could use the monthly calendar view to map out when you have exams, meetings, etc. like the Day Designer, this is just a super lovely and well made planner. I truly think that if it’s pretty, you’ll use it! You’ll want it on your desk in class for others to see and at the coffee shop, library, meetings, etc. I love the list aspect of this. It doesn’t work for me for school because I have a LOT of stuff. Plus, I have to factor in work and blog stuff, too. But for one sole purpose – i.e. blogging – it’s great to map out tasks. Love that there’s an address section! 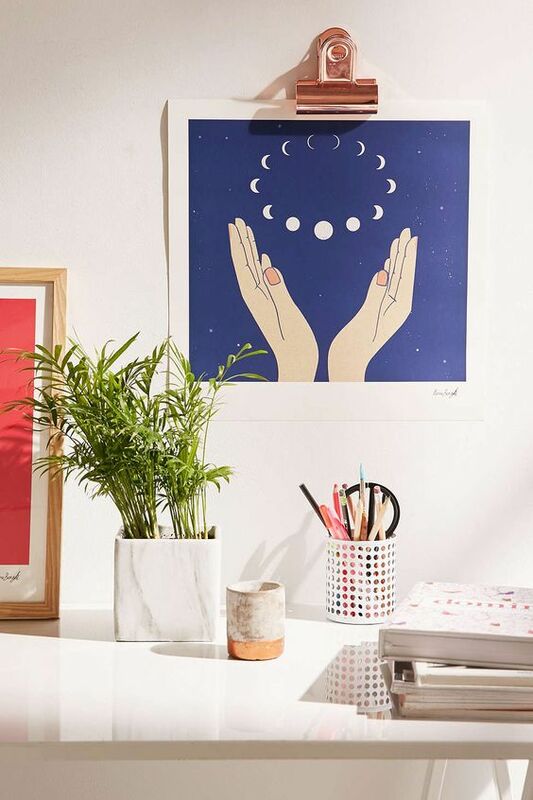 I feel like this is perfect for the old soul that loves snail mail. 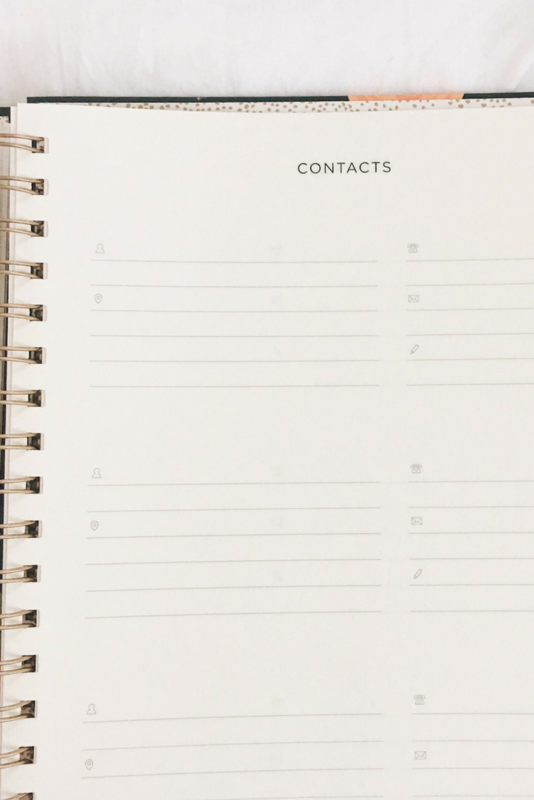 For me, it’s great to keep track of all my business contacts – specifically PR reps. 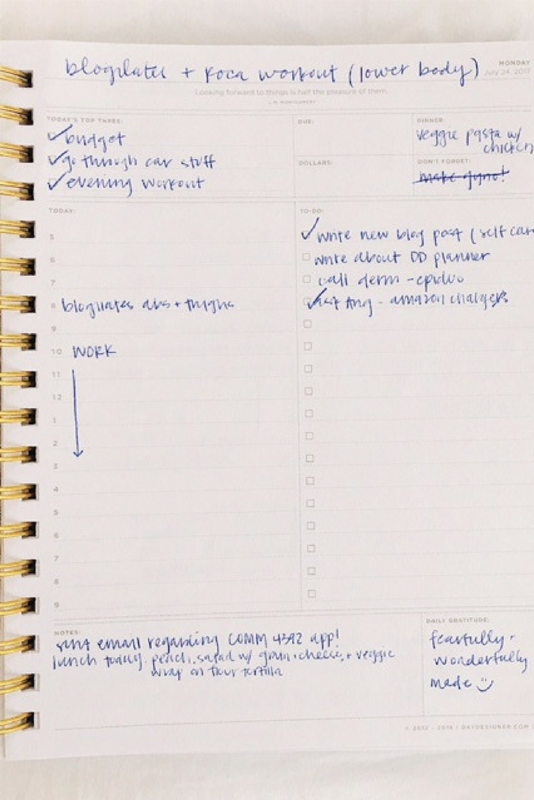 There isn’t a ton of space to plan out what you need to do each day. And if you’re not a fan of the “check-off list” this may not be for you because that’s the main portion of the agenda. It’s on the heavier side. A little lighter than the Day Designer, but still a hard back planner. If you’re clumsy, prone to spilling your morning coffee, or just have a long commute, maybe go with something more durable. The monthly view isn’t at the start of the month, but rather, all the monthly views are at the beginning pages of the planner itself. It’s not a huge deal, but it’s different than what I’m used to. 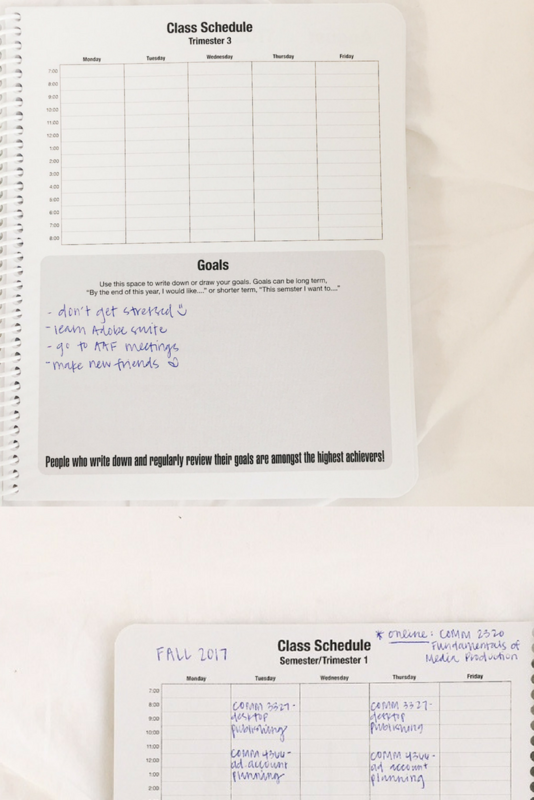 The Class Tracker is a new planner to the planner market, and I was sent one to try out. If you’re a full-time student who’s really about goal setting in your school life, this is for you. It’s light, organized, and a great way to track what you need to accomplish this semester. I’ve decided while I use my Day Designer for work and my Rifle Paper Co for blogging, I’ll use this one strictly for school. It won’t be a burden to bring this one and my Day Designer in my bag (Rifle Paper Co stays at my desk at home where I blog!) because it is so light and durable. Like I said – super light and durable! You’ll hardly notice it in your purse, backpack, or tote. I love the space where I can fill in my class schedule! I was always writing this down on loose sheets of paper and losing it. And I didn’t want to be that girl who set her schedule as her phone background for weeks, haha! I really love that at the top of each day it has a spot for quizzes and tests. These are super important not to forget, so I like that it is highlighted in this way. It’s strictly for school – an academic planner. 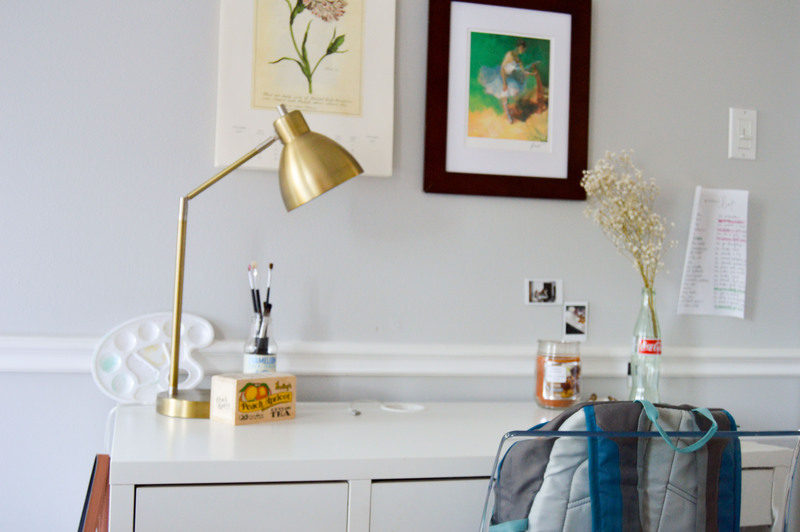 So if you’re a mom, full-time worker, creative, blogger, etc…it may not be for you because it really caters to a student. It’s isn’t a hard back, which some people may like just for the aesthetic. 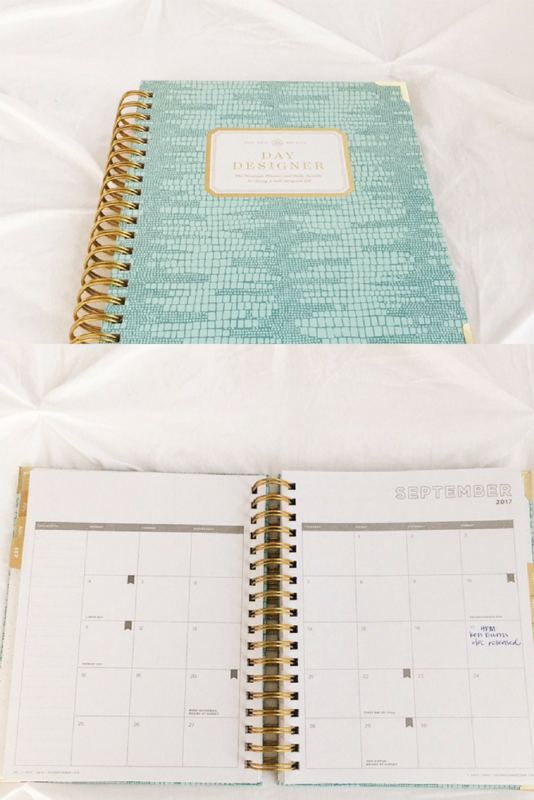 This past year I used the Erin Condren LifePlanner for everything: school, blogging, work, personal. I LOVED IT. 100% worth the money if you are REALLY into being organized. So for the TOTAL planner, this is for you! 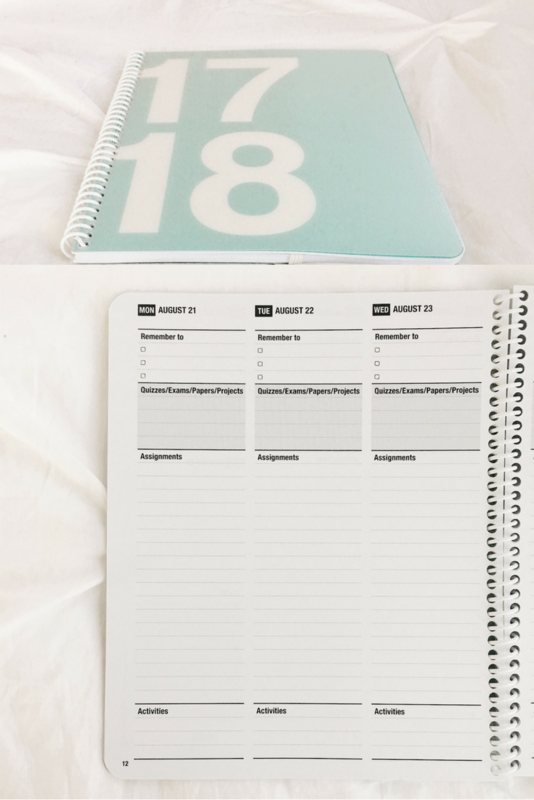 Stickers, extra fun things, etc….it comes with so much for you to plan out your days. My only complaint is that my back cover ripped and fell off a couple weeks ago. It almost lasted an entire year! That may be partly my fault, because I was always tote it around from place to place, and it may get a little beat up in my bag. But overall – loved it. 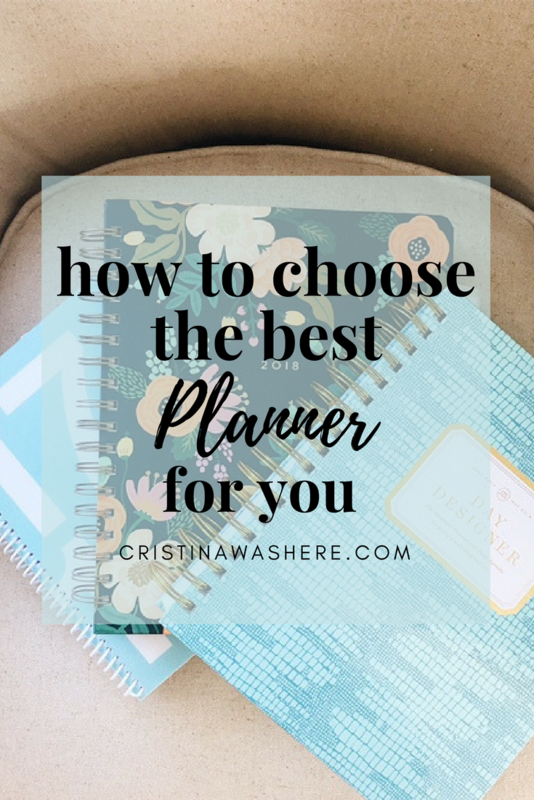 Let me know what planner you think works best for you or if there’s another planner that you love! 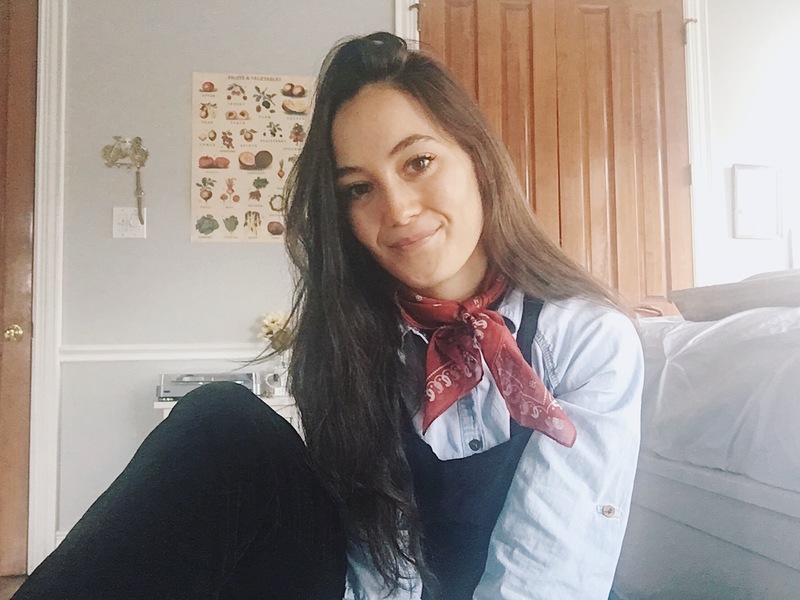 July Favorites: Trader Joes, Journaling, and More!